For Croatian couples, food is an aphrodisiac and an intrinsic part of weddings. From herb-infused seafood to black risotto, the Croatian penchant for flavourful food is evident. Of course, no Croatian wedding is complete without the traditions that accompany it. Here are some Croation Wedding Ideas and Popular Venue Choices in Sydney. Some of the most intriguing Croatian wedding customs include barjaktar, the midnight bridal dance, and ‘buying the bride.’ The barjaktar’s job is to wave the Croatian flag in front of the bridal procession as it makes its way to church or the wedding venue. Barjaktars are usually chosen for their flamboyant and outgoing personalities. Their job is to make lots of noise to herald the appearance of the bridal couple! Meanwhile, an amusing practice of ‘buying the bride’ promises lots of fun for the families of the lucky couple. On the way to the wedding, the groom and his entourage arrive at the bride’s house. There, he offers up evidence of his suitability as a husband: he may engage in feats of strength, offer beautiful gifts, or even sing tender songs to his bride. To prolong the mischievous game, the bride’s family often substitutes the bride for some other member of the family. During the wedding reception, the japica domacin (papa host) often serves home-made schnapps or shots of rakija to guests. At midnight, the real fun begins: this is when guests pay to dance with the bride. The larger the gift donation, the longer the dance! Since many Croatian couples favour the summer season for their weddings, three of the best venues in Sydney would be the Waterview in Bicentennial Park, the Dockside, and the Royal Botanic Gardens. The Waterview boasts breathtaking views of Bicentennial Park. With summer in full bloom, the brilliant foliage will serve as a stunning backdrop to the most romantic Croatian weddings. Meanwhile, the Royal Botanic Gardens overlook lush gardens and the spectacular Sydney Harbour and skyline. The Dockside, another fantastic choice, is situated within the impressive Cockle Bay Wharf. 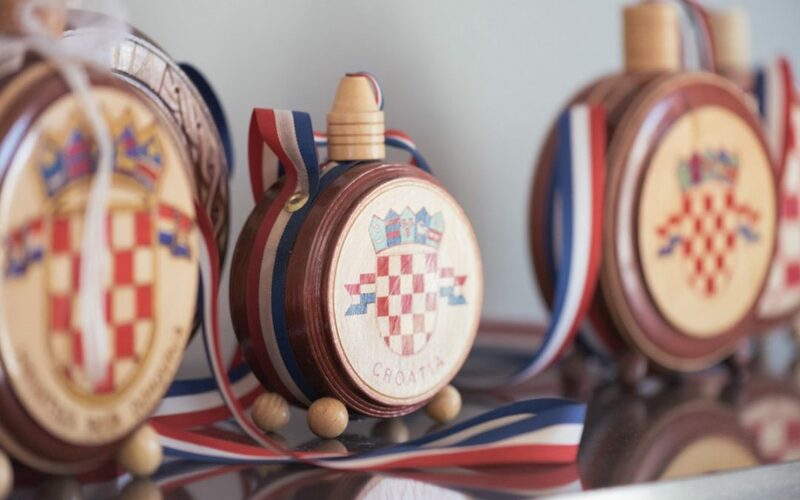 It overlooks Darling Harbour and is the perfect backdrop for a Croatian celebration. All of these venues easily accommodate a popular Croatian wedding custom: the traditional song repertoire at the reception. A wedding band usually plays a selection of well-loved traditional songs. The touching medley is filled with emotion, and it’s for everyone. Fathers of brides will tear up at the happiness of their beautiful daughters, while mothers will remember the past with quiet wistfulness. Meanwhile, brothers and sisters will look to the future, imagining their own joy at their weddings. In Sydney, Lily Road is one of the best wedding bands to hire for this special occasion. Not only will our wedding singers perform the traditional song repertoire, they will also get everyone up and dancing with their phenomenal music. That’s not all. Lily Road also features the best talent in the country. Our wedding singers have performed in the X Factor, Australian Idol, and Australia’s Got Talent. Some of our most talented singers have toured with the likes of Billy Joel, Taylor Swift, and John Legend. If you’re looking for the best wedding entertainment money can buy this side of the South Pacific, look no further than Lily Road. Check out our wedding music gallery and our fantastic testimonials on Facebook. We can play selections no other band would dare try. Aside from traditional songs for weddings, our best wedding singers can tackle anything from 60s music to hip-hop. Fancy some classic pop or jazz? Just ask, and we’ll match you with the most talented wedding singer for that genre. We can tailor the music to your needs and preferences. Check out our wedding packages; we specialise in anything from first dances to party music. All wedding music is provided over a 5-hour reception, but we can also perform the Croatian bridal dance live at midnight. While we take care of the music, you and your guests can dance the night away with the beautiful bride!